Over the last few years I’ve had the privilege of meeting so many amazing authors, many of whom I’ve also become great friends with. Recently, I’ve been thinking about being a better promotional friend to those published (traditional or indie) author friends because they deserve it, because I want to help them and because we need to stick together. 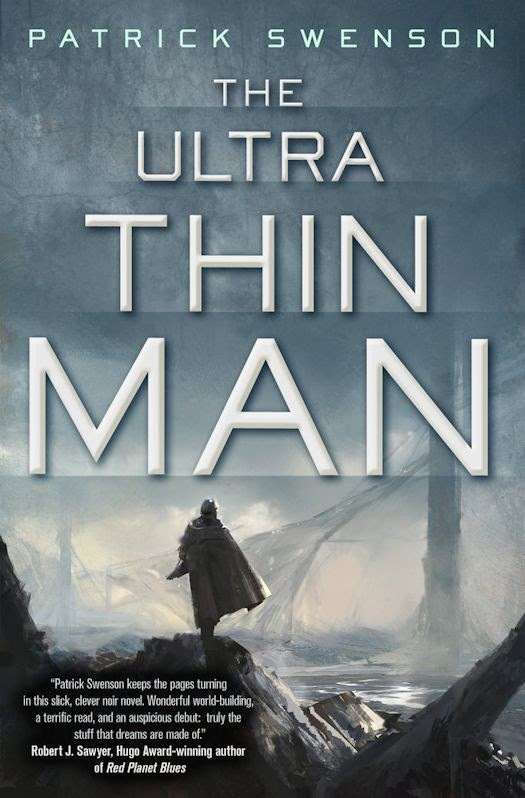 Recently I read The Ultra Thin Man by my friend Patrick Swenson. I thoroughly enjoyed it, which is excellent because I thoroughly enjoy the person Patrick Swenson as well. I tweeted while I was reading it that I was enjoying it, and it occurred to me that I should really be doing things like that more often. I have these incredibly talented friends, and while I don’t want to say I take them for granted because I do appreciate each and every one, I also don’t think I do as much to promote them as I could. As a new mom, it’s difficult for me to pop out to local readings and events. My friend and critique partner Kristi Charish has published her incredible novel, OWL and the Japanese Circus, and I haven’t yet been able to make it to a reading. I feel bad about it, so there must be other things I can do, like, mentioning her book in a blog at the Inkpunks? It’s a start, I suppose. Now, I realize some author friends might just want me to send them chocolate, buy them a drink or send virtual cheer leading, but we should be doing those things anyway, right? Or, when we can. I’m talking about promotional things I can do for them and their career. What can I do, as a friend of these incredibly talented authors? I think most of the time I feel like it’s just little ol’ me and what could I possibly do to help my friends, who likely have more social media connections and a bigger following than I do? Can one person make a difference? Is it even worth it? I’m not sure, but I think there are things I can do. I can read the books by friends that I’ve bought and are still sitting on my shelf unread. What books can possibly be more important than ones written by people I know, respect and admire? Apparently there have been other books getting in the way and it’s time to prioritize my friends for awhile. I can continue to introduce books to my book club. 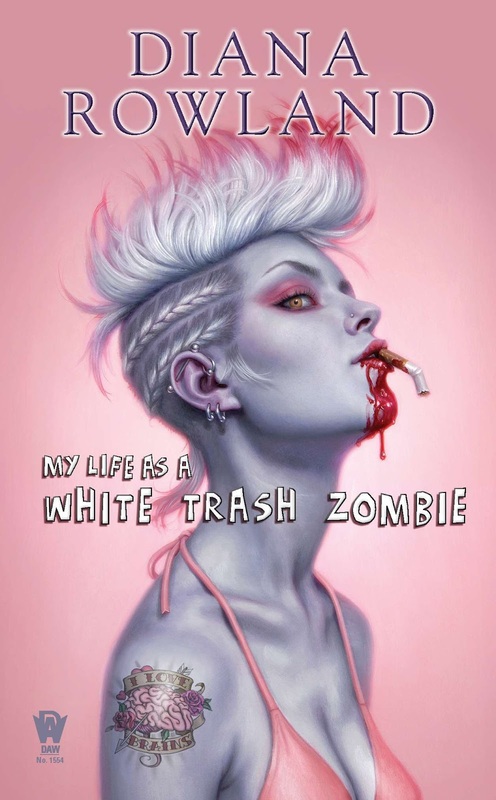 So far we’ve read White Trash Zombies by Diana Rowland, I Am Not A Serial Killer by Dan Wells, and Thunder Road by Chadwick Ginther. I can write reviews. I’ve never written a Goodreads or Amazon review and only occasionally will give a rating on Goodreads, yet I know it can help. It might be a bit time consuming, but even for books I’ve read years ago, I’m going to start giving them reviews. I’m not talking about writing fake complimentary reviews for someone just because I know them. I’m talking about reviewing books I’ve enjoyed and want to help the person who wrote it. I can take pictures of friends books out in the wild and post them on social media. It’s a great way to show off the books to my followers. I can blog about the books I love. Fran Wilde has a fantastic book coming out, called Updraft. I know it’s fantastic because I got to read the beginning of it at a workshop, and I can’t wait to get my hands on a copy. I already know how good it is and I know I could easily write a complimentary blog post about it. I can simply ask friends if there’s anything I can do for them. Maybe they have an event coming up I could help promote, or a campaign they’re working on that needs minions or a book release that could use some hype. If you’re reading this and you have other ideas of how I (and people in general) could be a better promoter of their author friends, please let me know in the comments, I’d love to hear them.